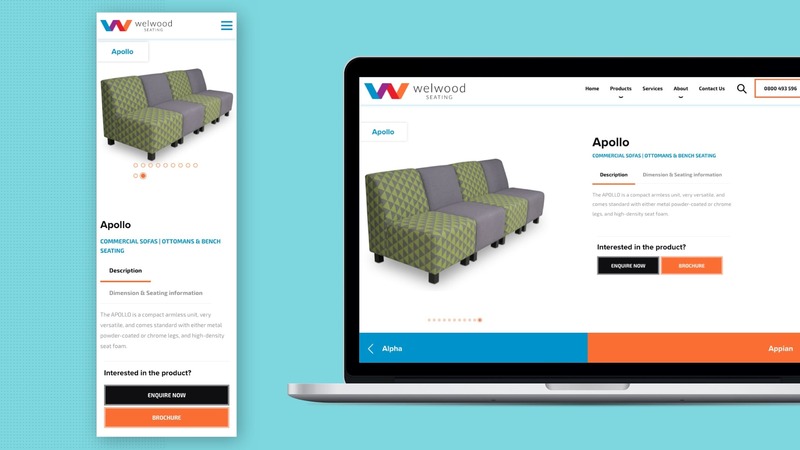 A website designed to showcase the Welwood brand. 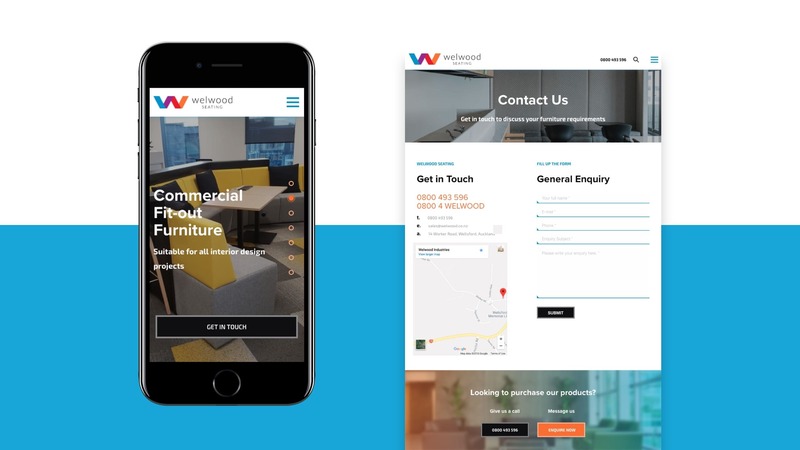 Welwood Seating have specialised in manufacturing quality commercial seating since 1992, but they were yet to build a strong online presence. They are experts in designing and manufacturing custom seating options for a range of commercial applications from universities to hospitals and shopping malls. They needed a new website to showcase their huge range of innovative seating options for the commercial fit-out market. The main goal - Show off how awesome their products are. The team at Welwood wanted Fabric to show their potential customers how amazing their products are. 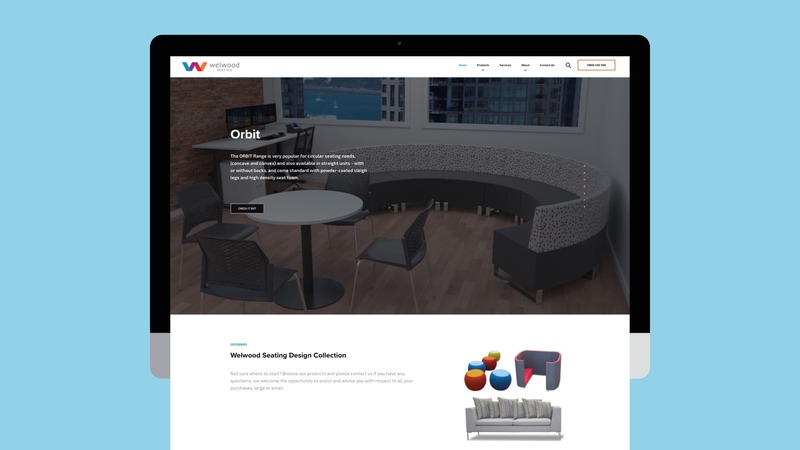 So Fabric conceptualised a simple but effective website design that puts the focus on the range of seating options and how they work in a range of commercial settings. The website puts their innovative products at the forefront showing off their unique designs. Mobile-friendly design to increase conversion rates! The website is highly responsive and looks just as good on a mobile phone as it does on a desktop computer. This means that customers can easily get the information they need, no matter where or how they view the website. Fabric designed this website to encourage conversions so Fabric's SEO services had the best chance of generating revenue. Fabric placed the contact number at the top right-hand corner and used prominent call-to-action on all pages.